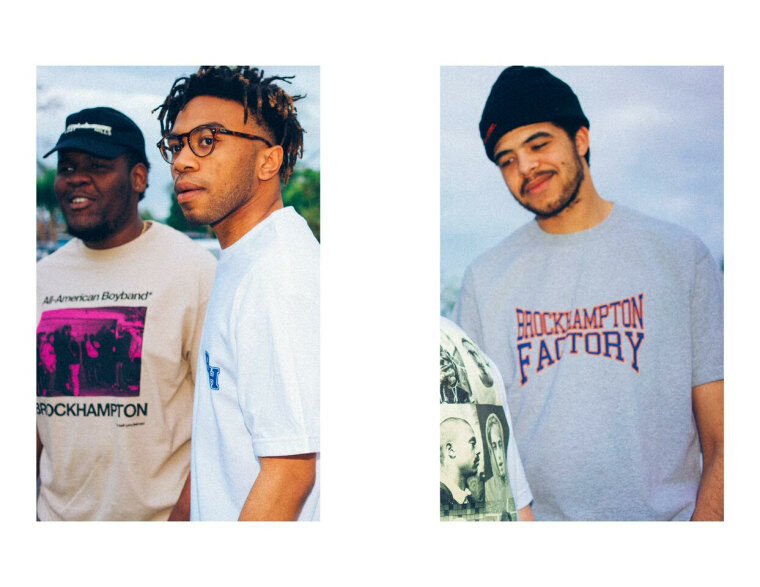 Looks like Brockhampton's dishing out a gang of simple and cozy warm-weather 'fits for fans, as the American Boyband has just released the look book for their S/S '18 merch collection. 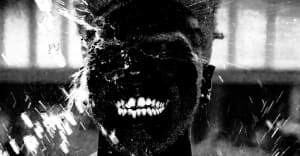 The raw, street-style flicks feature pretty much every member from the ensemble as they skate, bike, or just roam barren suburban streets while decked in plenty of color. 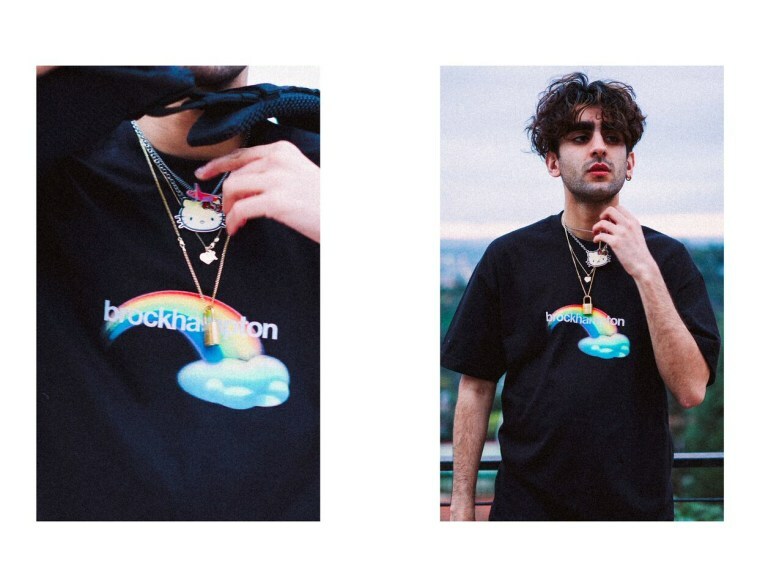 The goods span a wide array of apparel options — logo socks, signature hoodies with minimal print over bold and bright blues and reds, solid-colored shirts with "gay" written in a jazzy cursive, and "Brockhampton Records" tees. 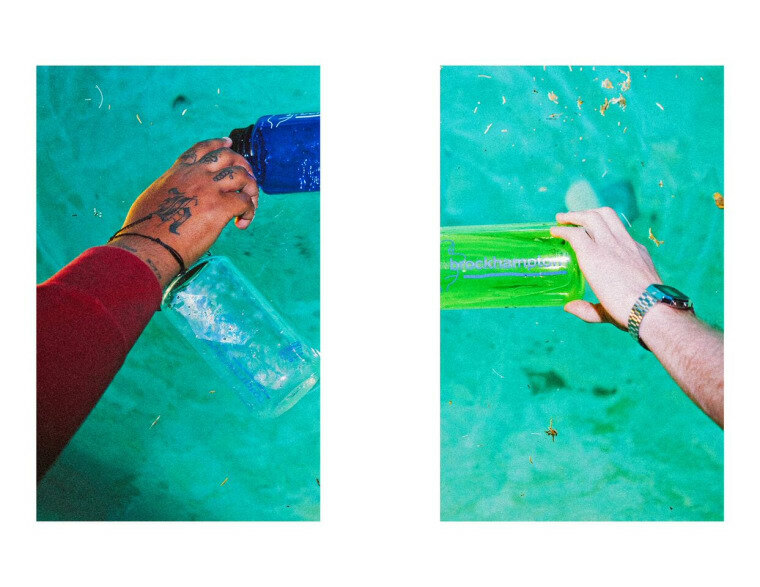 Also included are a bunch of Brockhampton-branded summer adventure must-haves like backpacks, journals, and water bottles. 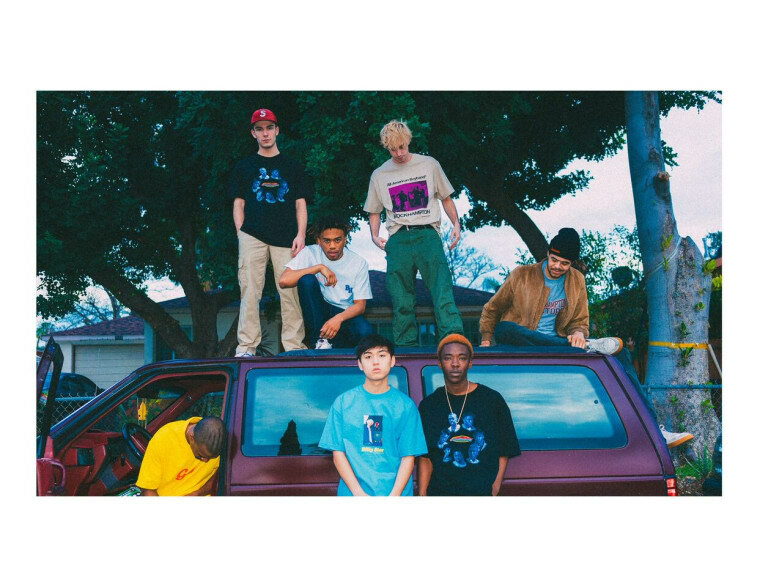 Check out a few photos from the look book below, and visit here to peep it in full. 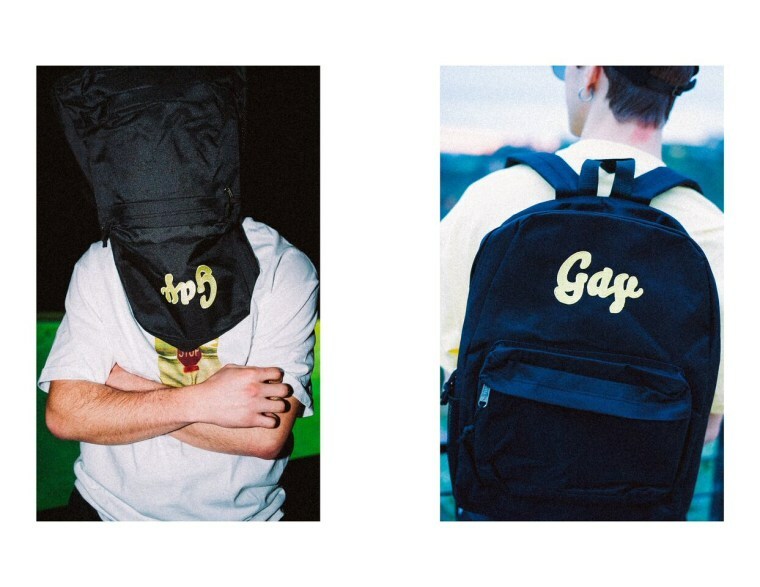 Pieces are set to go on sale next Monday, April 2nd on their site.